Transport your two best four-legged bear- and cat-hunting buddies to and from the field in comfort and style with Owens Products' Hunter Series Bear/Cat Dog Box without top storage. 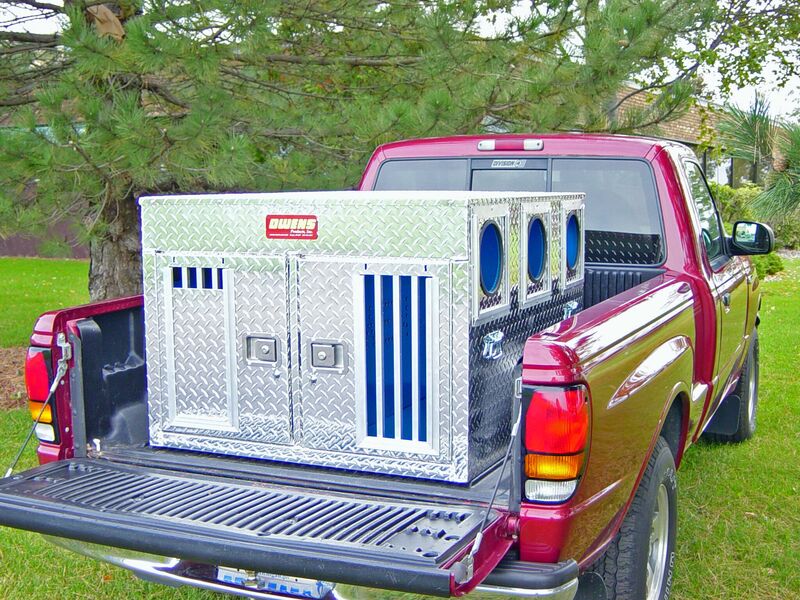 This extra-tall, dual-compartment dog box features two large, lined dog compartments that boast rugged diamond-tread aluminum constructions and feature three striker holes per side for cooling ventilation. Removable vent covers for striker holes are stored in convenient external pockets. Locking latch doors with built-in vents and storm covers. Small – Overall: 27"H x 38"W x 45"D. Dog compartment: 26"H x 19"W x 44"D.